Nutrient residues accumulate on the tongue in the posterior region. This is a perfect breeding ground for bacteria which cause bad mouth odor and can lead to disorders of the oral cavity. 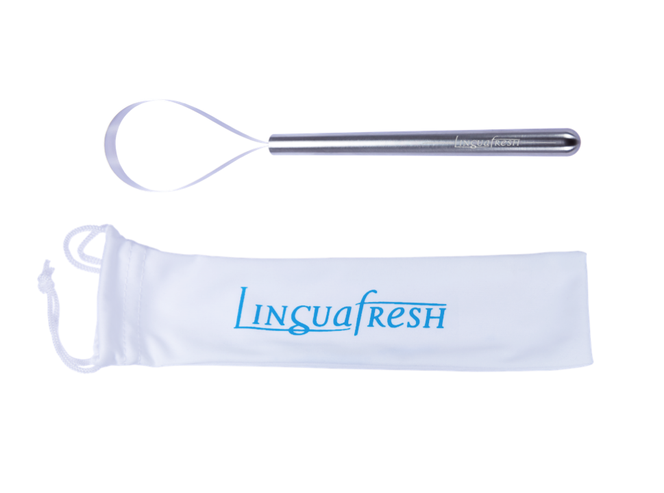 A once-daily cleaning of your tongue with the tried and tested Linguafresh tongue cleaners improves your mouthflora sustainably. Your breath will become fresher and your sense of taste will also improve. 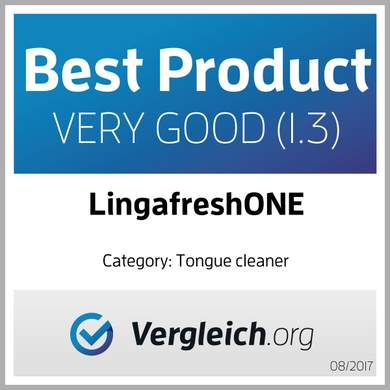 The consumer magazine Vergleich.org has recently compared tongue cleaners. 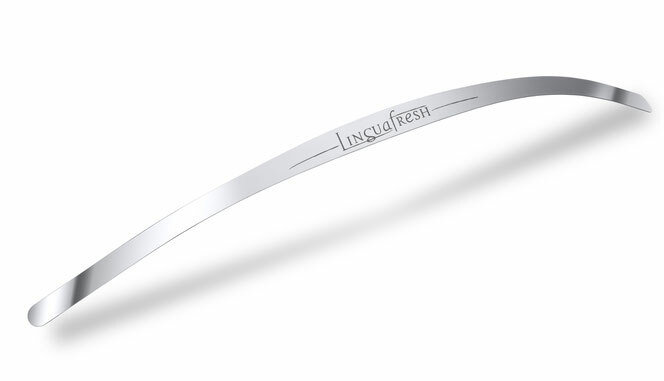 LinugaFreshONE was awarded as a comparison winner with a grade of 1.3 and thus VERY GOOD.